How Has the Electronic Logging Device Mandate Been Received Thus Far? | Platinum Drivers Inc.
How Has the Electronic Logging Device Mandate Been Received Thus Far? In the old days of trucking, truckers were the kind of workers who were a bit rebellious—follow their own beat to the drum types. They got the job done alright, but they didn’t much like being told what to do and how to do it. Fiercely independent, they were the kings of their own rigs, making their own rules and enjoying their jobs, much like radio station DJs used to do picking songs they liked rather than what a corporation told them to play… and, in a way, a lot of America was “like that” back in the day. There weren’t as many rules and regulations. It seemed like a freer society. Nowadays, though, truckers have to put up with the electronic-logging-device (ELD) mandate. Just the word mandate irks ‘em. Why? Because it’s forced upon them by higher-ups. Here’s what’s wrong with the mandate. It limits truckers to driving 11 hours in a 14-hour window, followed by a 10-hour break. Then it also mandates truckers take a 30-minute break during their workday. In theory, this is a good idea. In practice, it’s not. It’s like telling a bunch of little kids, “You must take your nap now!” But what if they don’t want to nap now? What if they’re wide awake? The difference is little kids aren’t having to put food on the table… for adult truckers, though, time is money. Truckers don’t like being told what to do. They’d prefer to have more control over their work and sleep schedules. 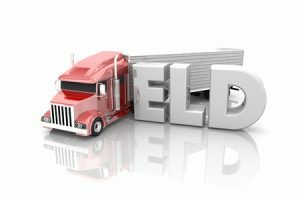 The ELD mandate is hampering their ability to work normally and make a living. Truckers who get paid per mile often have to spend hours at warehouses where they wait for shipments to be loaded or unloaded. During those long wait times, they’re not getting paid! Those hours (typically 2 to 6 hours, by the way) eat into their 14-hour period, so they’re literally losing time on the road/income. What are truckers likely to do about this situation? Not only is it causing them stress, but it’s also making them drive faster once they do get on the road… which isn’t a good thing for safety’s sake, right? Bottom line: changes should be need. If you need help finding qualified drivers during the ongoing driver shortage, learn how Platinum Drivers can help.